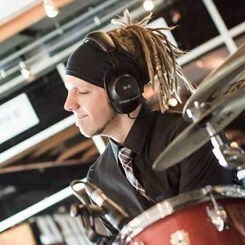 Zhach Kelsch is a professional touring and studio drummer with over 10 years of experience as an educator. He specializes in intermediate-advanced students looking to develop their musicality, timing, knowledge of theory, coordination, and creativity. Check his website at: www.zhachkelschonline.com for more details. Request Lessons with Zhach today!